Pravit Reang-Po 2004 18 72 7068 45 minutes from downtown. 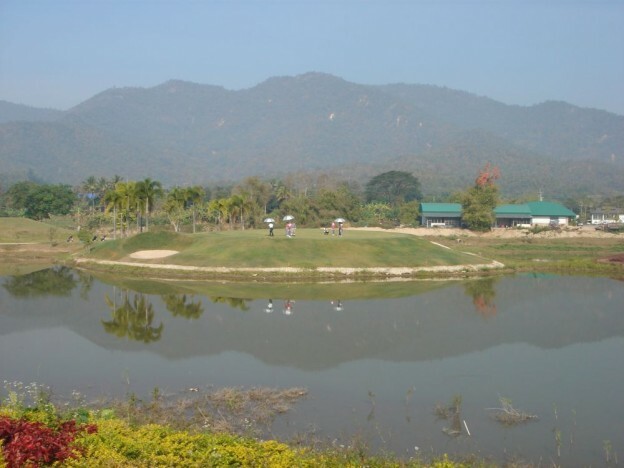 Gassan Khuntan Golf & Resort was established in 2004 and quickly gained the reputation for being one of the most beautiful golf courses in Thailand. The course is surrounded by Doi Khuntan National Park with landmarks such as The Railway Bridge and Khuntan Tunnel. Mr.Pravit Reang–Po has designed a challenging course, where fairways and greens have been expertly groomed to provide you with a very special golfing experience. The experienced golfer can take on a lot of water or risk short cuts over the bunkers, while the course also allows the novice golfer to improve confidence. The first-class resort and outstanding club house have luxurious facilities for you to enjoy including a well stocked pro shop and a top-class restaurant.